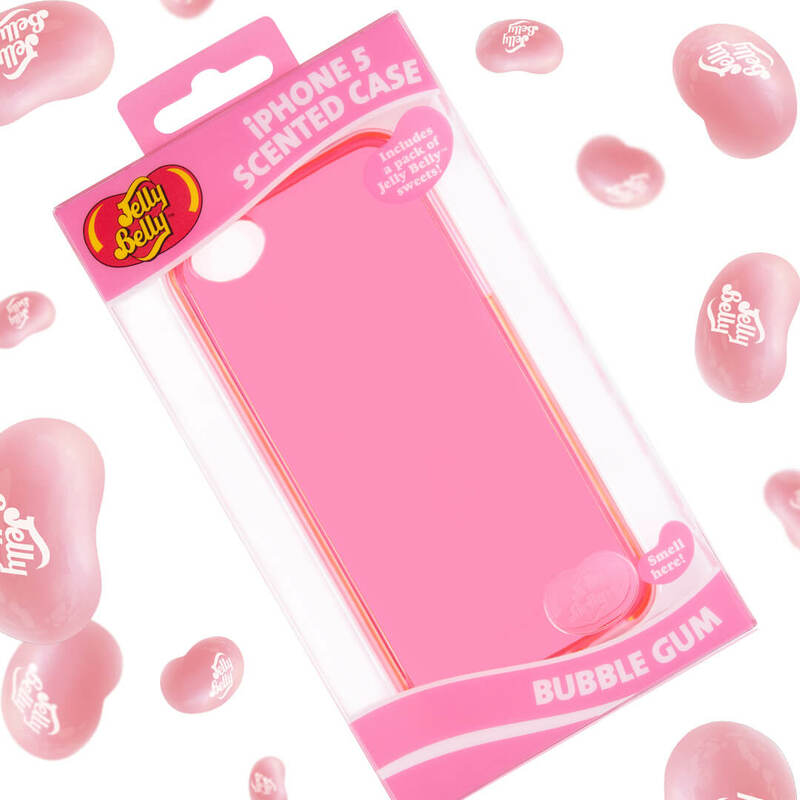 Jelly Belly are makers of the popular candy beans that are available in countless unique and wacky flavours – they celebrate fun and flavour, and are the leading jelly bean brand. 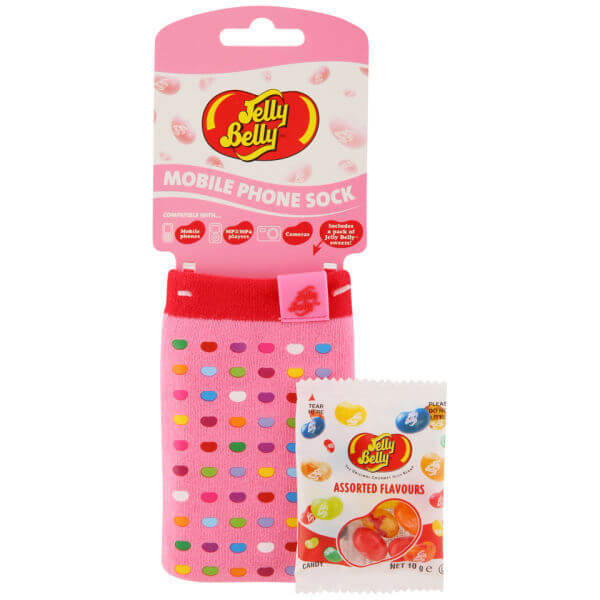 Jelly Belly was introduced to Britain in 1985 and have been nominated one of the coolest brands in the UK year on year. We were approached to design a range of mobile phone and tech accessories, along with packaging, print material and POS display units, produced and imported under license by Infinity Entertainment Limited. 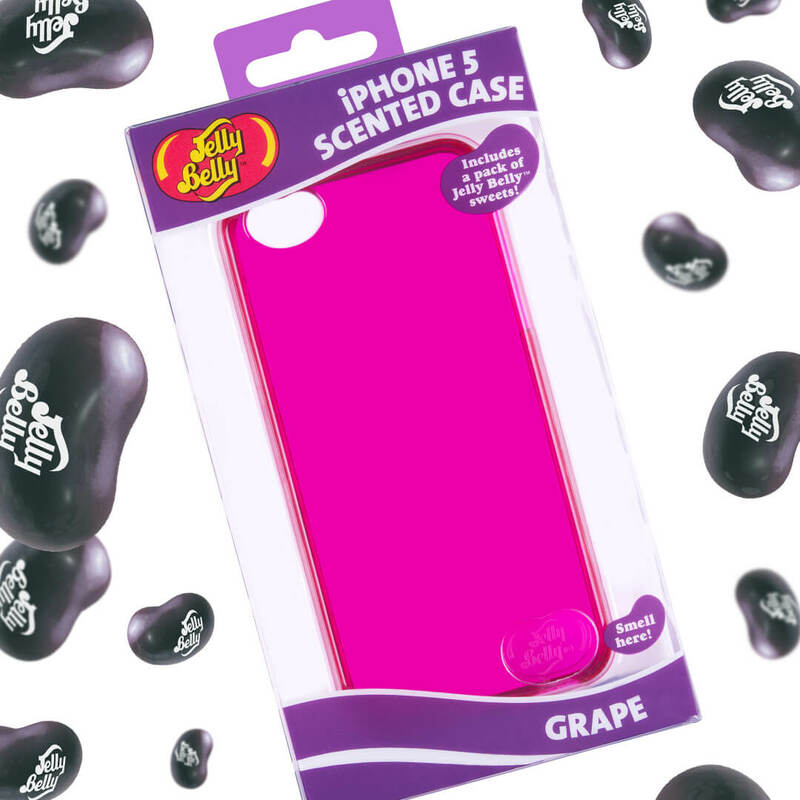 We wanted to incorporate the scent and vibrant colour of Jelly Belly’s unique brand experience through a collection of stylish and practical products. 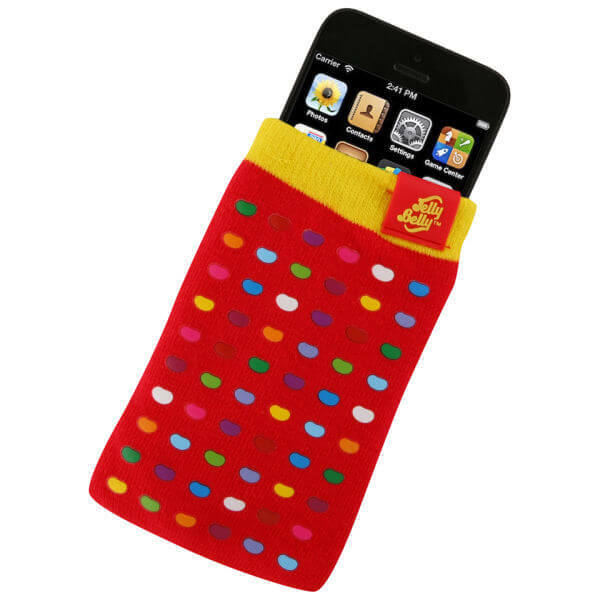 The final range consisted of scented mobile phone cases, earphones, mini speakers, scented mobile phone socks and mouse/mousemat sets – all available in various flavours/colours. 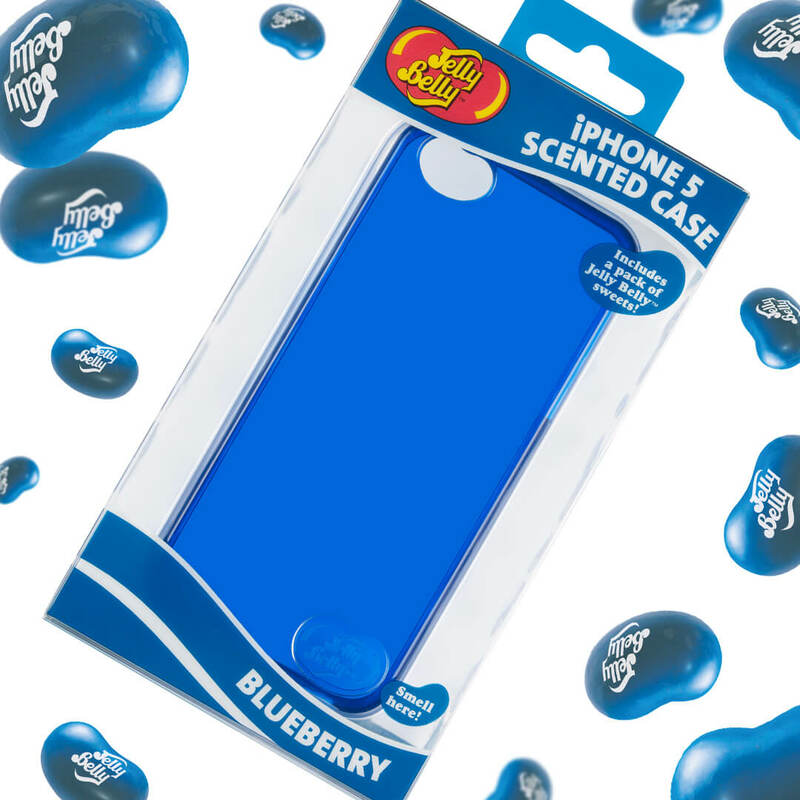 We designed a bespoke mould for iPhone, Blackberry and Samsung smartphones that allow easy access to all of the phones functionality – the mould is injected with the scent of each model’s unique fragrance and coloured accordingly. 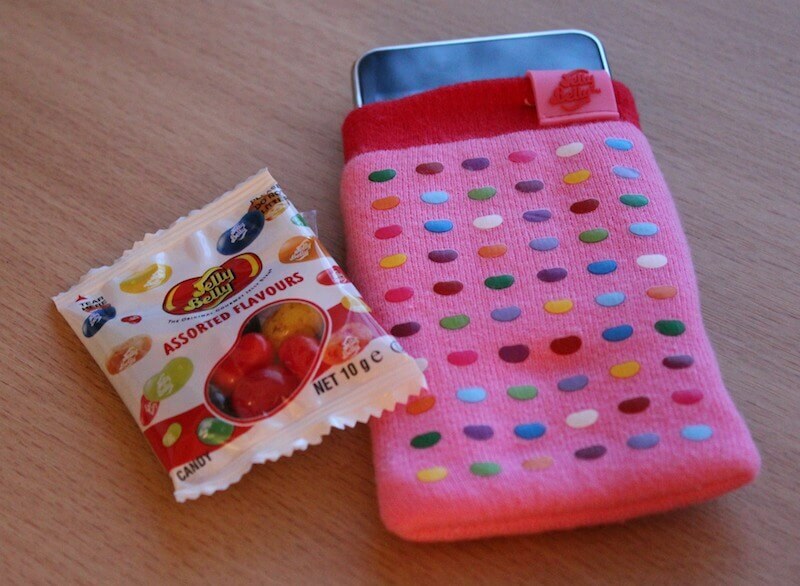 The design has an embossed Jelly Belly logo in the bottom right corner and a camera lens hole in the shape of a Jelly Belly bean. 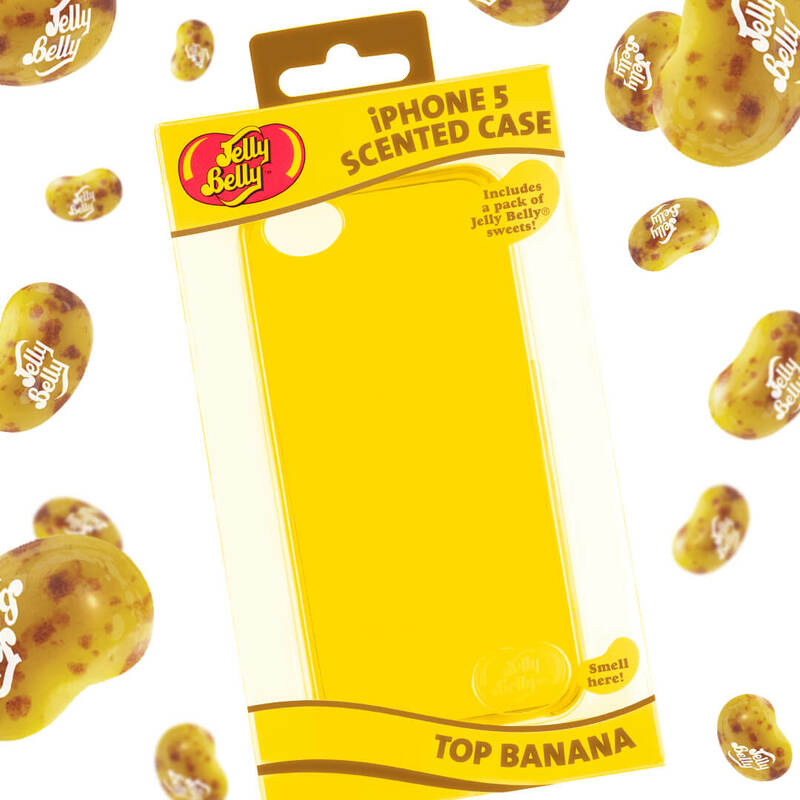 We created an eye-catching packaging solution using transparent acetate – each product is clearly visible and on display, with a die-cut bean hole to test the smell in-store. 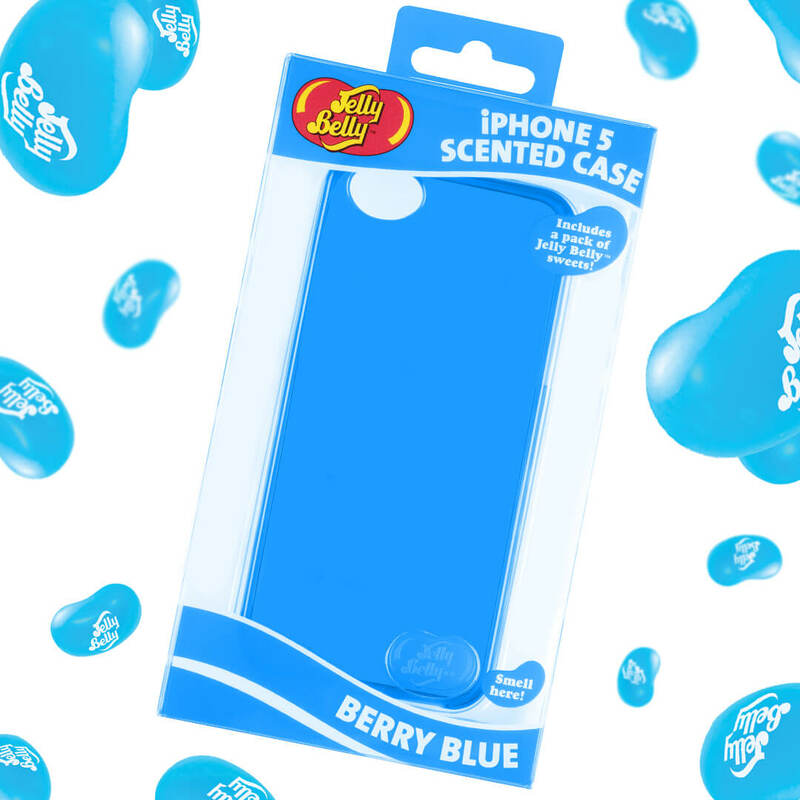 Each flavour/model has unique packaging that is vibrantly printed to match the flavour of Jelly Belly bean. The range was very well received – appearing on the Gadget Show Christmas Special and were nominated for numerous tech awards. 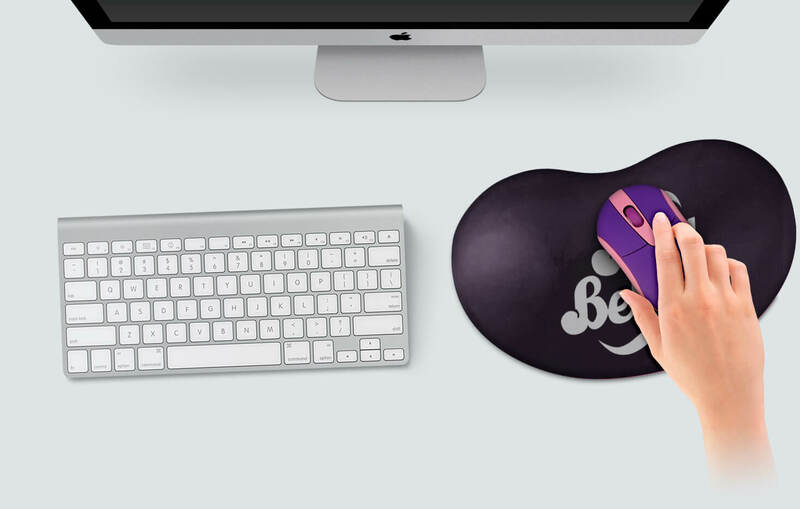 We created a range of mouse and mousemat sets that will make a bright addition to any computer or laptop. 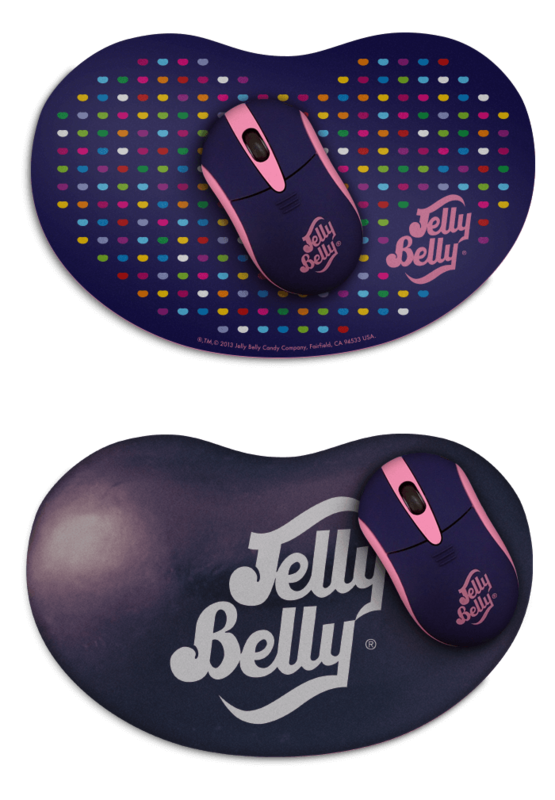 The lightweight USB-ready optical wireless mouse features plug-and-play technology and one-touch operation and is coloured and printed to match the unique Jelly Belly flavour it represents. 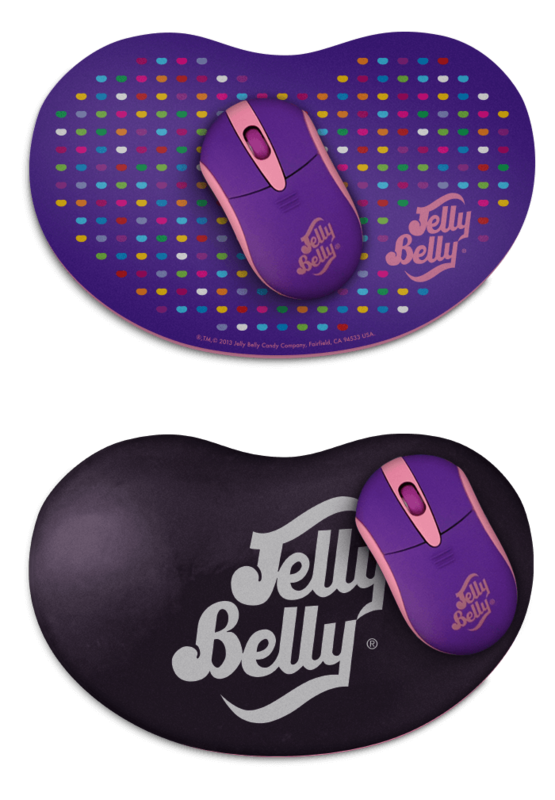 We designed two print options for the mousemat that follows the colour theme of the optical mouse. 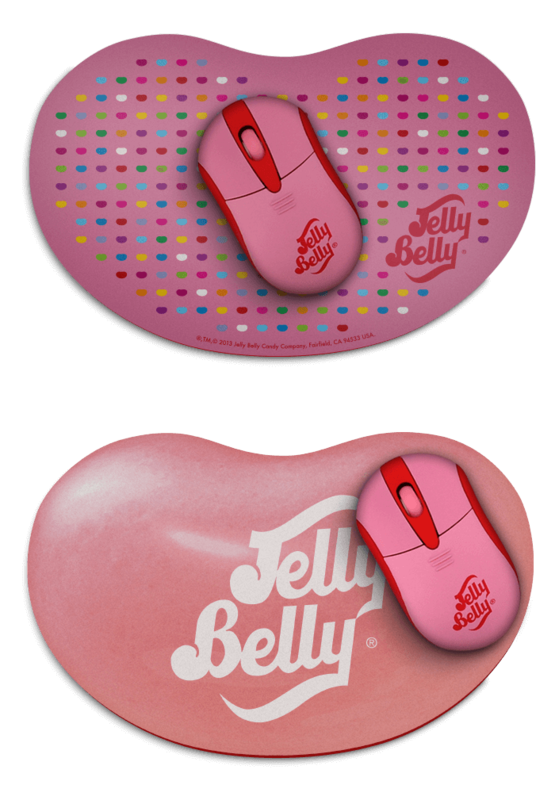 The first design uses Jelly Belly’s multi-coloured bean pattern and the second design features the a large print of the Jelly Belly bean flavour. 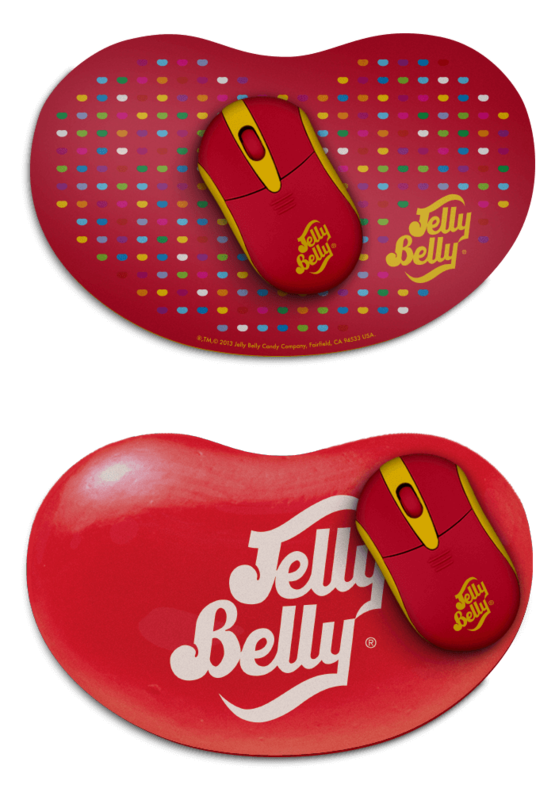 We design a packaging solution that displays each product clearly using a plastic clamshell and insert card – all designed to match the specific Jelly Belly bean flavour. 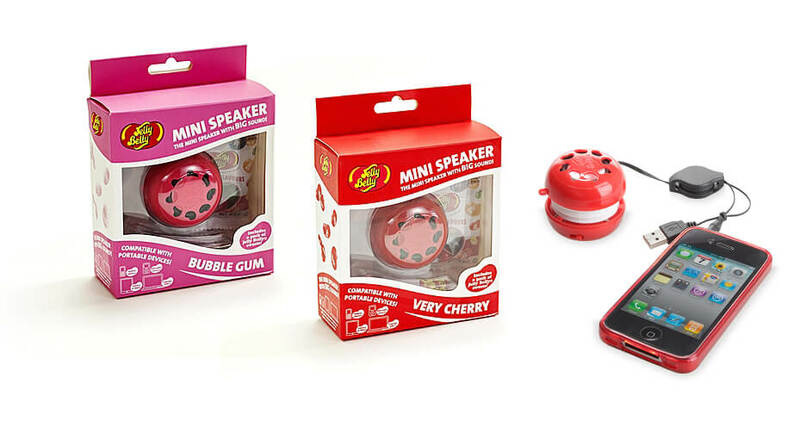 We designed a range of unique Jelly Belly mini speakers. The mini speaker with a BIG sound is coloured in the same vibrant colours as the popular beans and delivers great audio quality with advanced sound technology. 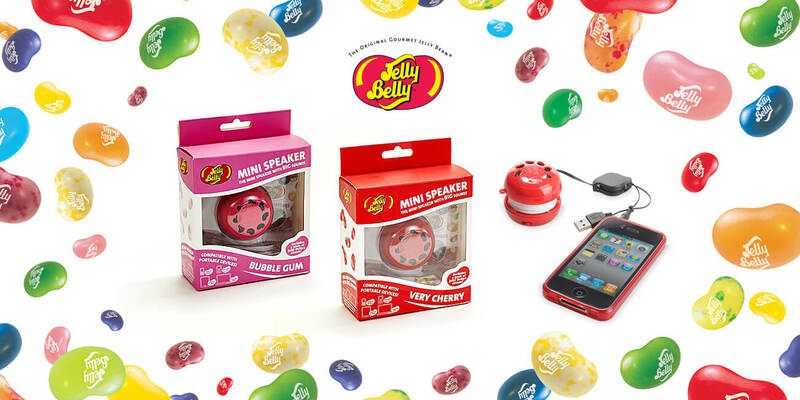 Each mini speaker is designed with a large engraved Jelly Belly logo in the centre of the casing and incorporates unique sound vents that are shaped like jelly beans! 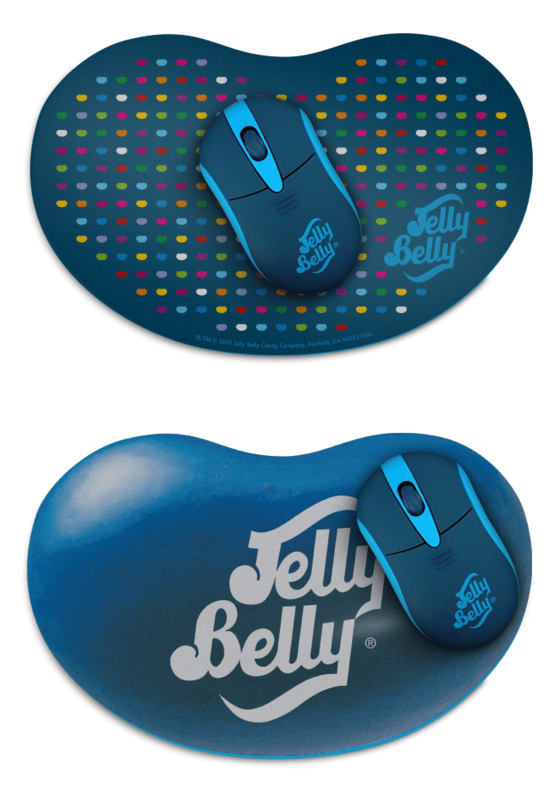 We created an eye-catching packaging solution using Jelly Belly’s iconic branding and colours, that follows the same format of the product range. HAVE AN INTERESTING PROJECT YOU WOULD LIKE TO DISCUSS? 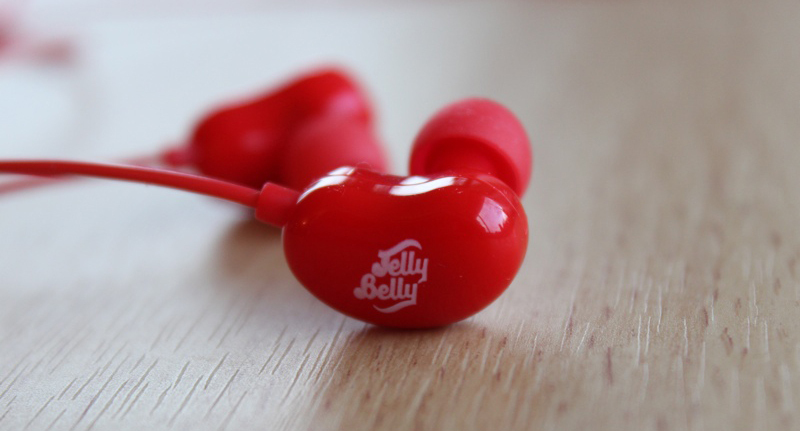 We designed a range of Jelly Belly earphones – ideal to blast out tunes whilst on the move. 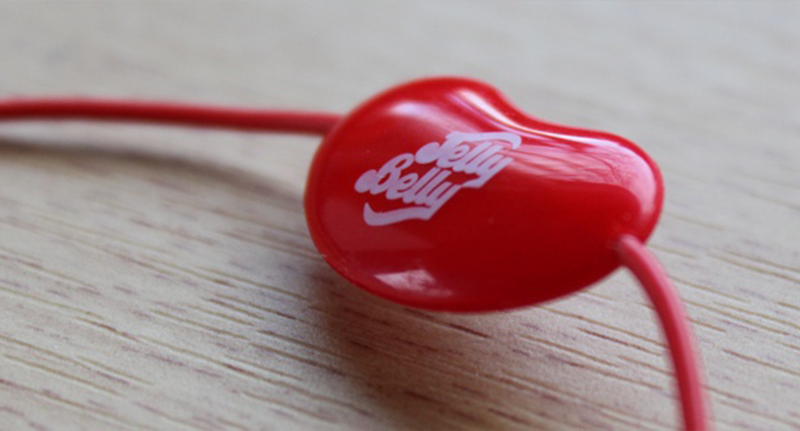 Each earpiece incorporates the unique Jelly Belly bean shape and logo that is vibrantly coloured to match the flavour of Jelly Belly bean it represents. 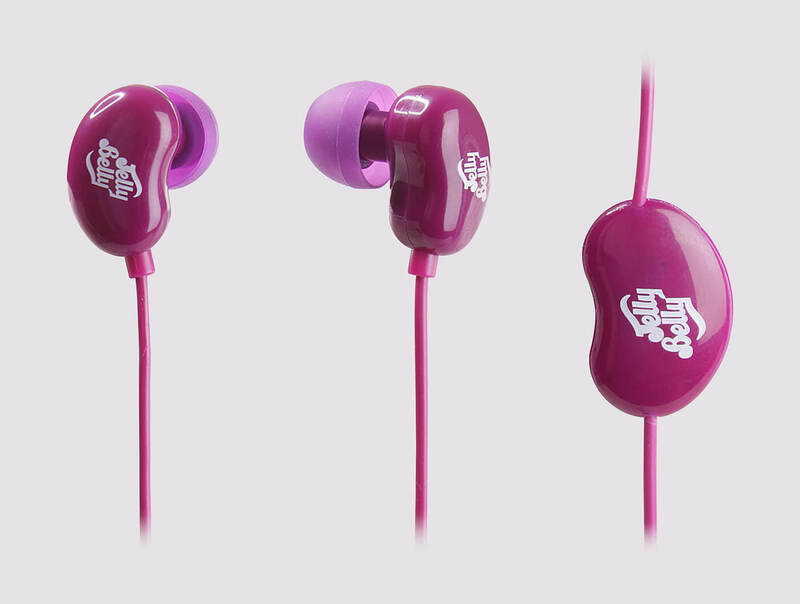 The earphones come with a set of soft silicone bud sizes to provide long lasting comfort whilst you enjoy listening to a crisp and clear sound. 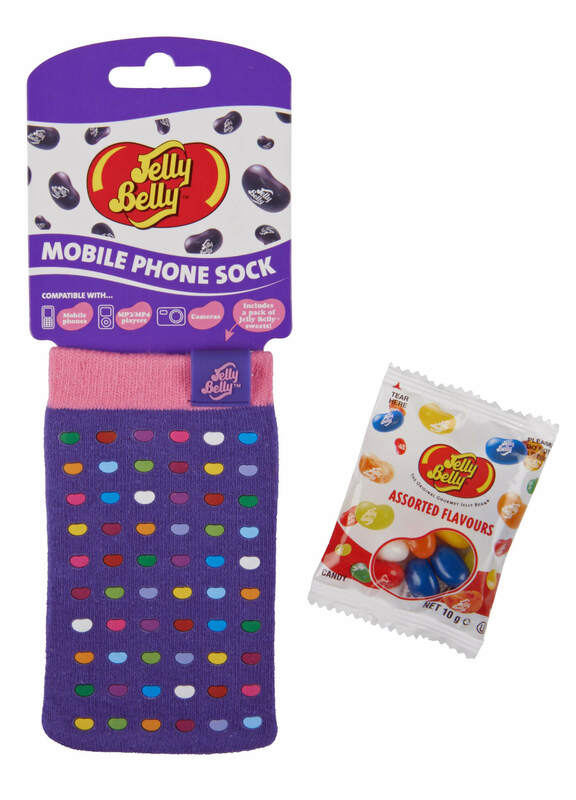 We incorporated a Jelly Belly bean in-line mic for hands-free call functions, which also acts as a remote for music playback providing volume control and track advance within a convenient reach and without having to fumble for your phone. 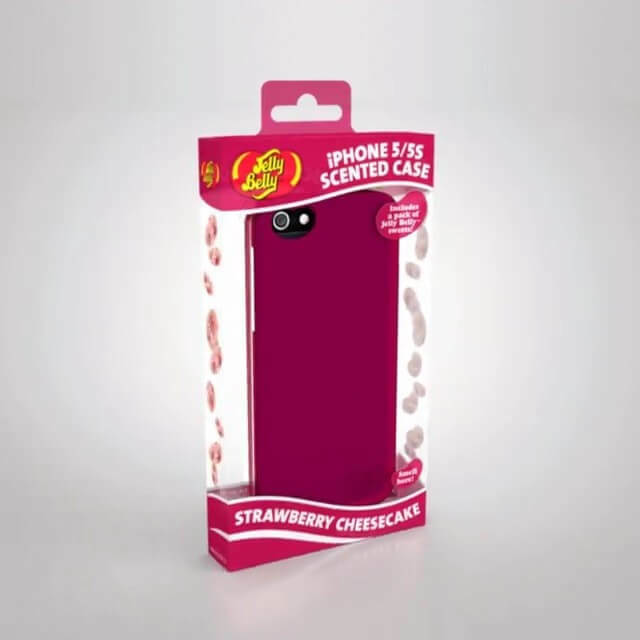 We created an eye-catching packaging solution using the Jelly Belly iconic branding and colours; and presented the earphones and buds in a clear and concise layout. 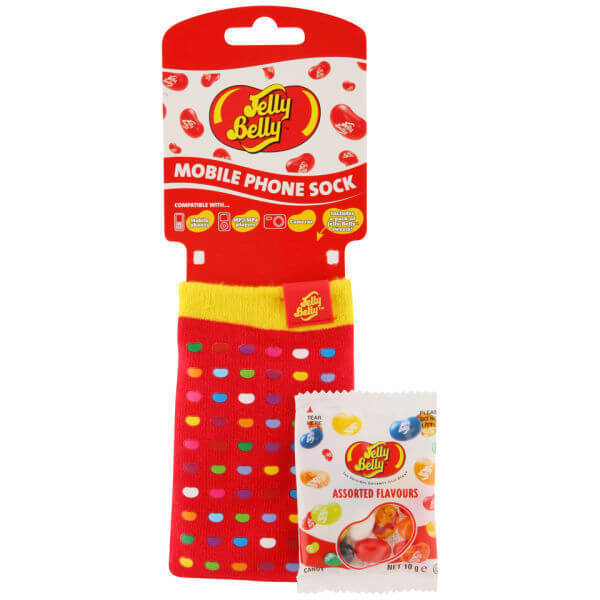 We created a range of Jelly Belly mobile phone socks incorporating a scented label into the design matching the other range of scented products in the Jelly Belly catalogue. 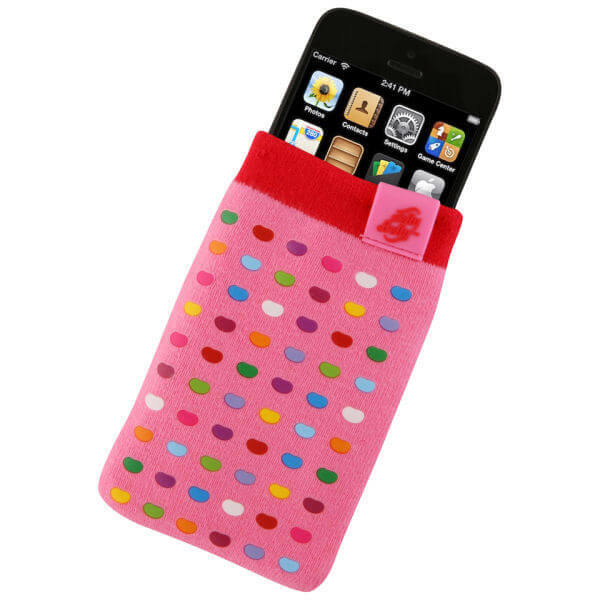 Each sock is sized to protect popular iPhone and Samsung smartphones, but also fit cameras and MP3/MP4 players to keep dirt, dust and scratches at bay as well as being funky and fashionable. 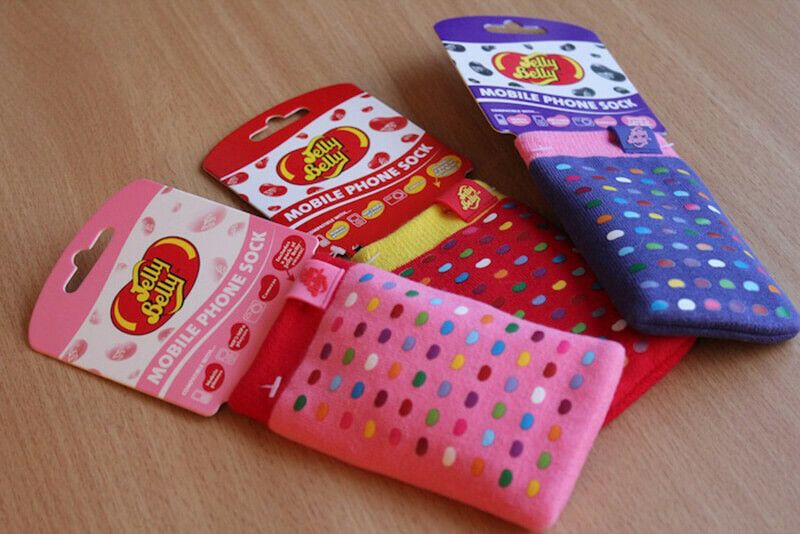 The socks are coloured to compliment each flavour and have a multi-coloured printed bean pattern on each side. 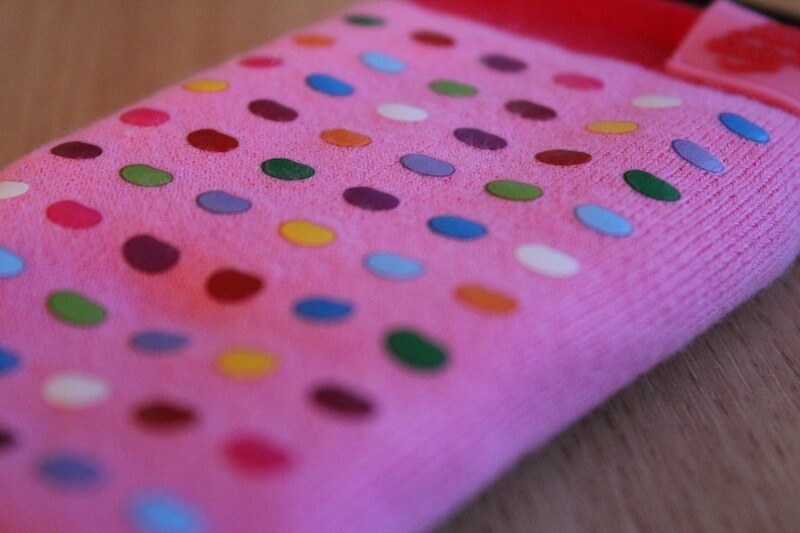 The socks are packaged with a unique header card for each flavour reflecting the colours and branding of the scent.